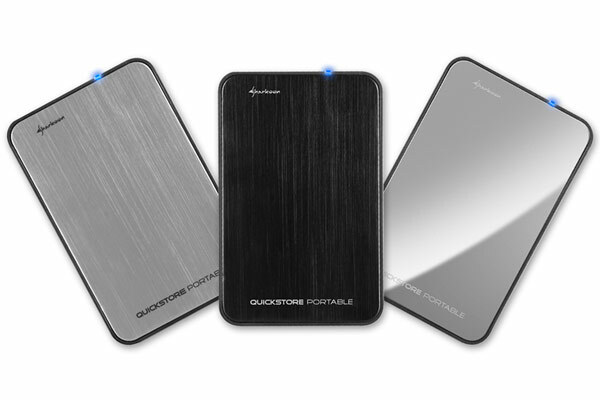 Sharkoon has launched a new portable hard drive enclosure, which will work with 2.5 inch SAT hard drives, and is compatible with USB 3.0, the Sharkoon QuickStore. The Sharkoon QuickStore is completely screw free, and you just insert you hard drive and snap the enclosure together, and it also comes with a SuperSpeed interface which will give you transfer speeds of up to 5Gbps. The Sharkoon Quickstore measure 135mm by 85mm by 14mm and it is made from aluminum and it comes in a range of finishes which include, black brushed, silver brushed, or silver aluminium mirror finish. The Sharkoon QuickStore will be available shortly for 29 Euros about $37.